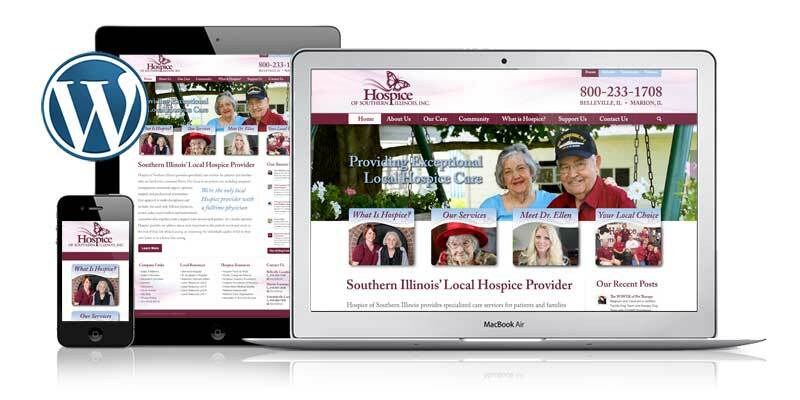 As Southern Illinois’ leading provider of Hospice Care, this group of talented and caring individuals needed a website to clearly and effectively communicate ‘Who’ they are and ‘What’ they do. The HoSI team had established their brand in print, collateral and social media. Now they called on Marketicity to develop the an online presence to carry the brand to the web. We quickly moved from site map to wireframe and onto layout and design. You know you are insych with a client when they love the first layout and refuse to look at other options! Thanks to a highly collaborative effort, the site launched to rave reviews – ahead of schedule and on budget! Interested in the full case study? Click “Contact” or better yet call. We’d love to share more about this great project.